Okay, so you can actually find me on Goodreads and over there, I do, on occasion, review books. In fact, I’m about to finish up a series by an author I particularly like and I’ll probably do a giant review of it over there. If you’ve read my reviews at Goodreads, you’ll know whereof I speak. I bring this up, friends, because I learned how to write book reviews first in high school, then again in college, and I honed the skill again in graduate school. There are slightly different styles for different fields and genres (I was writing reviews of mostly academic and other nonfiction treatises in the social sciences), and there’s also a bit of formality (sometimes stiltedness) that goes along with reviews like that, but nevertheless, I still use the infrastructure. So let’s chat about that. 1. Introduce the book. Title, author, publisher, date of publication, number of pages. These days, you don’t actually need to supply that info because it automatically populates from the site you’re on, but back in the day, that was information in your header. I have a story about this book. I was visiting NYC recently, and was on my way to dinner in Brooklyn with a comrade. We had parked the car and we were going to walk the couple of blocks to the restaurant. On that walk, I stopped at a brownstone because whoever lived at this particular house had put 3 books outside by the small wrought iron fence that served as a boundary between it and the public sidewalk. In NYC (and probably lots of other cities), when people want to get rid of things — i.e., give stuff away — they set it out in front of their houses. This book was one of the three that the owner had set out. It caught my eye because it was face-up and I recognized it. I’d actually considered buying it a few months earlier but didn’t. So there it was, and I needed a book for the plane trip home. I picked it up and put it in the pocket of my cargo shorts. I started reading it at the airport the next day and couldn’t put it down. This kind of anecdote violates my academic training in book review writing. Which is fine, since I’m not reviewing an academic book for an academic publication or demographic. I tend to do non-academic book reviews with intros like this, because for me writing a book review on Goodreads is a fun, informal kind of thing to do, and I like the review to be approachable. So keep in mind the VENUE for which you are writing. That intro would not fly in academic quarters, and probably wouldn’t in more formal literary corners, either. But for sites like Goodreads, approaches like that are generally fine n’ dandy. Back to my review of Ghosts of Belfast. Here’s my plot summary. 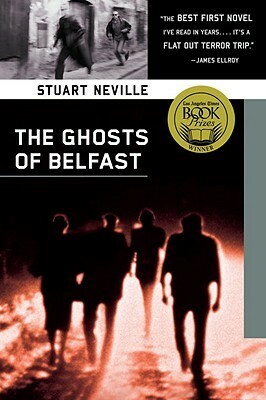 This is Irish writer Stuart Neville’s first book, and it is a gripping, gritty, downright grungy but satisfying read. It’s garnered lots of accolades and awards, like the Los Angeles Times Book Prize. The New York Times rated it as one of the best crime books of 2009. So is it a crime novel? Yes and no. It’s a mixture of paranormal, thriller, and crime. Maybe even allegory for a country trying to reconcile its bloody history with a shifting future. But it also provides a view of a changing Northern Ireland, into the social and economic forces that have created it, wrung it out, and left it in an uneasy marriage between past and future. The main character is Gerry Fegan, an IRA killer who served 12 years in a Northern Ireland prison. He’s out of prison, and an uneasy peace has settled over the island, but Fegan is haunted. Literally and figuratively. Twelve ghosts of people he killed will not let him rest. They want vengeance, and in order to appease them, he’ll have to kill the men who ordered their deaths. Strung out on memories, guilt, booze, and the ceaseless prodding of the 12 ghosts, he sets to work on his task, seeking some kind of peace and maybe a personal redemption should he complete it. His reputation keeps him reasonably safe from the new mob politics of the country — at least at first — but people know about his drinking, and they know that he’s taken to talking to himself. They don’t see the dead like he does. And after he kills the first couple of men, the shaky alliances between several opposing factions begin to fray, and Fegan himself becomes a target. So in those three paragraphs, I’ve let the reader know where the book is set, who the main character is, what his background is, and what conflicts he’s going to be facing. So by this point, a reader has a sense of what the book is about and the mood it might evoke. 3. Analysis. This is the part of the review where you, the reviewer, provide some of your own insight into various elements of the plot and the overall writing style of the author. Saying “I liked it” or “I didn’t like it” is not helpful to a potential reader. And, if an author reads reviews of his or her work, statements like that don’t help an author figure out if perhaps he or she needs to address something in his or her writing. That is, WHY didn’t you like it? Was there something specific that the author did that annoyed you? Did he or she use too many clichés? Was the dialogue awkward? Were the characters wooden? The setting bland? What SPECIFICALLY about it didn’t work for you? Maybe even quote a few lines of text from the work as an example of what did or did not work for you as a reader. Neville writes Fegan with a hard, gruff elegance, and you’ll find yourself drawn to this man, to his brutality and attempts to find a resolution for himself and his victims. Ireland itself is a character here, as well, and Neville incorporates its circumstances and recent history into Fegan’s daily stumbles in a way that makes you come to understand, on some level, why Fegan is the way he is. That’s good writing and characterization, when you take a broken-down, violent, bitter drunk of a man who murdered innocents in terrorist attacks and torture and imbue him with the weight of his own past and the past of his country so that a reader will feel a bit of sympathy for his plight and his twisted mission. By the end of this book, you will, on some weird level, kind of like the guy. Neville unfolds the plot carefully and slowly at first, but as Fegan tries to complete his mission and he, too, is in danger, Neville begins to speed the pacing until the last third of the book, when you’re practically holding your breath as the final scenes loom. He creates characters and context that make the paranormal aspects utterly believable (and perhaps an allegory themselves), utterly gripping, and well worth the journey through its pages. That’s the broad infrastructure that I learned with regard to book reviews. I tailor it to various books and genres, and sometimes my reviews are a couple of long paragraphs, because that’s all that’s needed to tip a reader to its content and what they might expect. Others get a bit more analysis and description. Because reviewers, too, have followers — that is, people who might have similar tastes to the reviewer and who find good book recommendations through that reviewer. So I try to do readers a service when I post a review of a book. I want to give them enough information (without spoilers!) about the book that will encourage them to perhaps find out more about the book and maybe read it. Which helps the author. That’s how reviews contribute positively to a creative community. With regard to negative reviews, same rules apply. Introduce the book, summarize the plot, analysis. A helpful negative review points out the specific issues that the reviewer found in the book, but does not target the author personally. 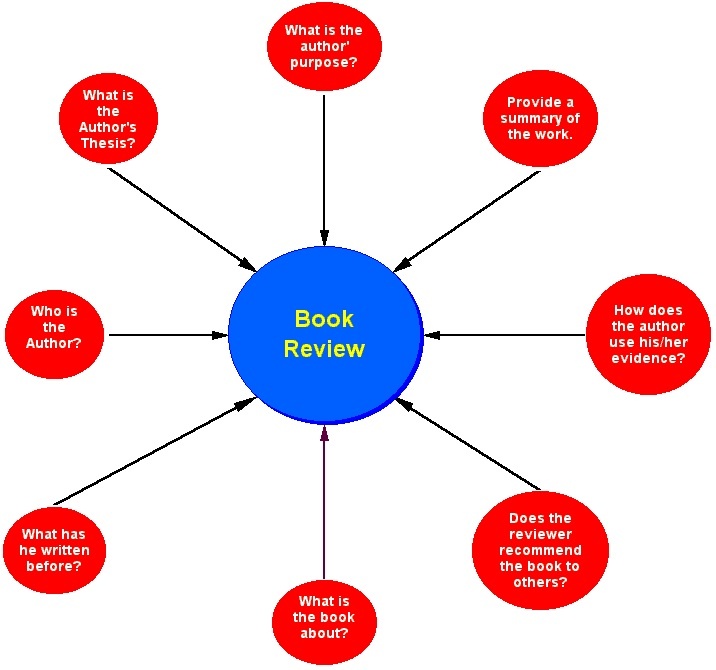 If you didn’t like a book and you want to review it, try to be helpful to the reader AND the author, because if an author reads reviews, he or she may find the things you point out helpful. Heh. Or not. They may freak out. But that’s the nature of this beast we call writing. There will always be negative reviews, some really helpful, others entirely not. At any rate, in case you’re wondering, here’s my overall philosophy about reviews. Happy reading, happy writing, happy reviewing! Thanks Andi, I’m always a bit weary about writing reviews as I have never really known how to! Sure thing! Happy reading, happy reviewing! I’m with Beni on this one, never been shown how to do a review so I found this blog particularly informative. So thanks Andi. I stopped doing reviews when a well known lesfic reviewer told me I was doing it wrong. I also have the tendency to like everything I read in the lesfic genre ( excepting a few) and therefore would probably want to give them all a 5 star. I have a tendency to fall in love with most of the main characters and therefore forgive minor errors like spelling and punctuation. I read for entertainment and get that from almost all of the books I read. Thanks for the info Andi.